The Yii framework is a popular tool for creating websites all over the world. A flexible development tool helps in launching various resources. But, like any popular solution, the framework has its bottlenecks. In particular, standard tools do not provide the ability to compress images in Yii. That is the reason why sites with an abundance of pictures are loaded more slower. You can use the third-party tools to reduce the pictures in Yii. For example, using the OptiPic plug-in, which does not take up much disk space, but effectively copes with the task. The solution optimizes the process of image compression in Yii and facilitates the administration of the site. The image compression plugin for Yii has already proven itself in practical tests. The average reduction in the size of the image was 70%, which accelerates the loading of sites several times. The plug-in for compressing pictures in Yii is run in the background and does not require user actions other than the initial setup. OptiPic easily itself with Yii of all stable versions. The OptiPic plugin for Yii is an excellent example of site maintenance automation, which allows you to free up time for considering a further resource development strategy. How can optimizing images for Yii speed up a site? 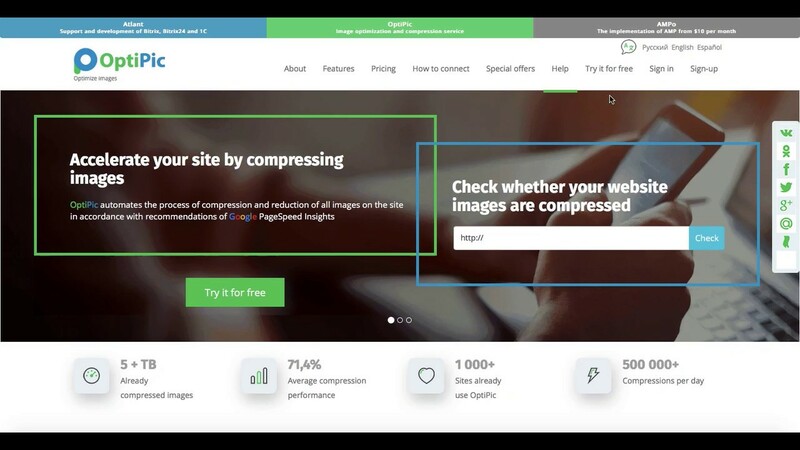 How to get started with OptiPic service for Yii for image compression?